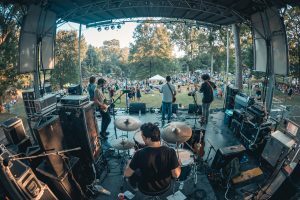 On Saturday, August 25 and Sunday, August 26, 2018, the 16th annual Grant Park Summer Shade Festival welcomed thousands of music and art lovers to Atlanta’s oldest park for two days of nonstop fun! Presented by The Beacon Atlanta and benefiting the Grant Park Conservancy, the festival kicked off with the annual Adams Realtors Run for the Park 5K on Saturday morning and featured an impressive lineup of live music throughout the weekend on two stages, which included unforgettable performances from Marshall Ruffin, Blair Crimmins, Christopher Paul Stelling, Rock*A*Teens, Front Porch Session Players, and Roxie Watson. Always a favorite, guests sipped, shopped and strolled through the expansive artist market, enjoyed a larger than life Kids Zone and took advantage of the exclusive VIP Lounge. The 16th annual Summer Shade Festival also had a diverse selection of local food trucks with offerings for all tastes, Monday Night Brewing craft beer, Bold Rock Cider, an array of cocktails and much more. 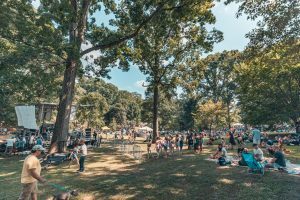 The 2017 festival raised more than 100 thousand dollars for the Grant Park Conservancy and its mission of protecting, enhancing and preserving the park while planning for its future needs. 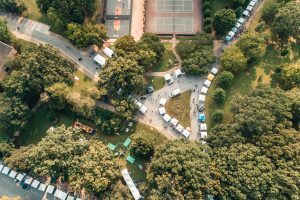 The 2018 festival celebrated Grant Park’s 135th anniversary. Details on proceeds raised at this year’s event will be announced in the coming months.